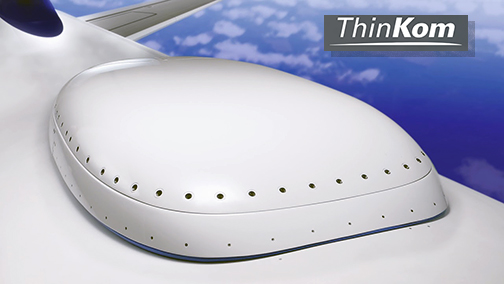 ThinKom Solutions, Inc. has successfully completed their in-flight connectivity trials of the ThinAir® Ka2517 phased-array antenna mounted on the Proteus high-altitude long-endurance aircraft. The Proteus satellite data communication package was developed as a joint effort involving ThinKom, Inmarsat Government and Scaled Composites. The trials included initial tests in Chantilly, Virginia and the Mojave Air and Space Port, California, culminating in a series of demo flights at White Sands Missile Range, New Mexico. The ThinAir antenna delivered a 25 Mbps return link and a 5 Mbps forward link operating at over 50,000 feet altitude through an Inmarsat Global Xpress Ka-band satellite in geostationary orbit. The phased array maintained connectivity to the satellite each flight, including during take offs, in-flight maneuvers and landings. Further, the ThinAir antenna was able to send the full 25 Mbps from the aircraft at an elevation angle of 25 degrees, while providing data rates of 12 Mbps at elevation angles as low as 15 degrees. ThinKom supplied the Ka2517 phased-array antenna in a low-profile 7.8-inch high radome, along with an adaptor plate, antenna controller and transceiver electronics. Scaled Composites designed and built a custom fairing to mount the radome on the aircraft’s fuselage and integrated the ThinKom system with the payload on the aircraft. 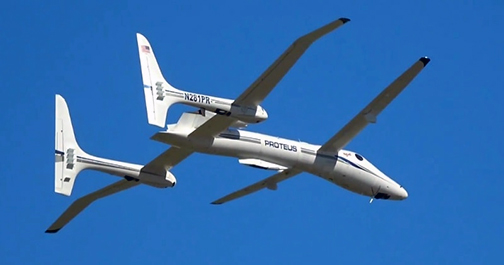 Proteus is a twin-turbofan tandem-wing aircraft originally developed and built by Scaled Composites in 1998. 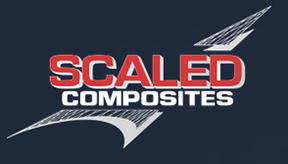 It is currently owned and operated by Scaled Composites. The experimental aircraft is designed to carry payloads up to 2,000 lbs. at altitudes from 50,000 to 63,000 feet and remain on station more than 14 hours. It is intended to support the demonstration of piloted and UAV missions, including telecommunications, reconnaissance, atmospheric research, commercial imaging and space launch. Bill Milroy, CTO of ThinKom Solutions said these successful in-flight demonstrations further validate the ThinAir Ka2517’s capability to provide uninterrupted broadband connectivity with near-zero aerodynamic drag – an important consideration for many classes of UAVs and long-endurance missions flying at extreme altitudes. This was truly a team effort. Steve Gizinski, CTO, Inmarsat Government, added that Inmarsat Government was pleased to support this important joint demonstration using the Inmarsat Global Xpress capability. The results of the trials proved, once again, that highly mobile government customers can rely on Global Xpress – a globally-available high-throughput, flexible and interoperable connectivity solution that provides coverage wherever and whenever required.